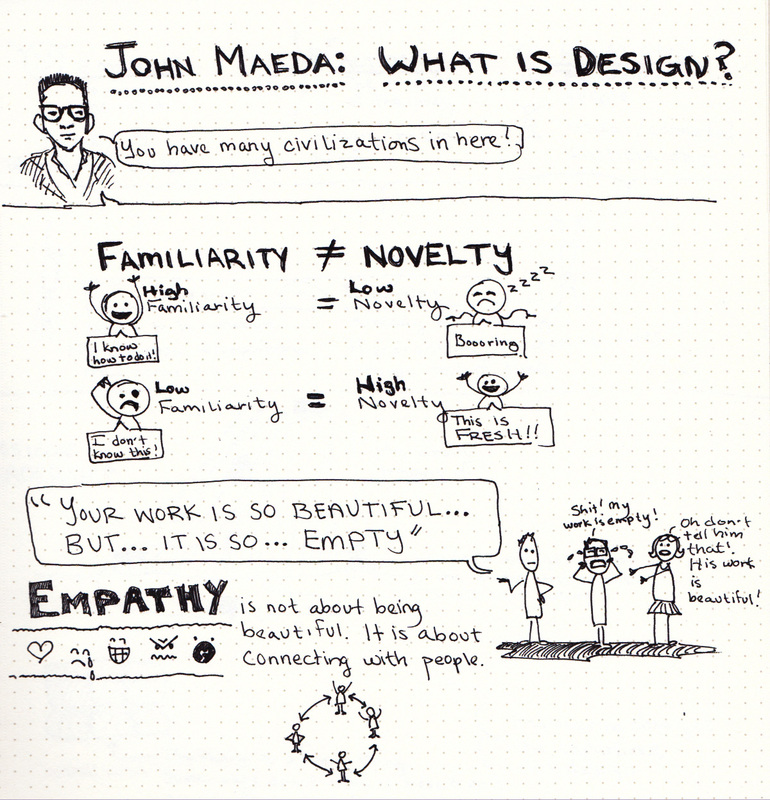 I had the opportunity to attend a talk by design luminary and RISD president John Maeda, hosted by my employer eBay Inc. Maeda spoke honestly and with great deliberation on the topic, “What is Design?”. 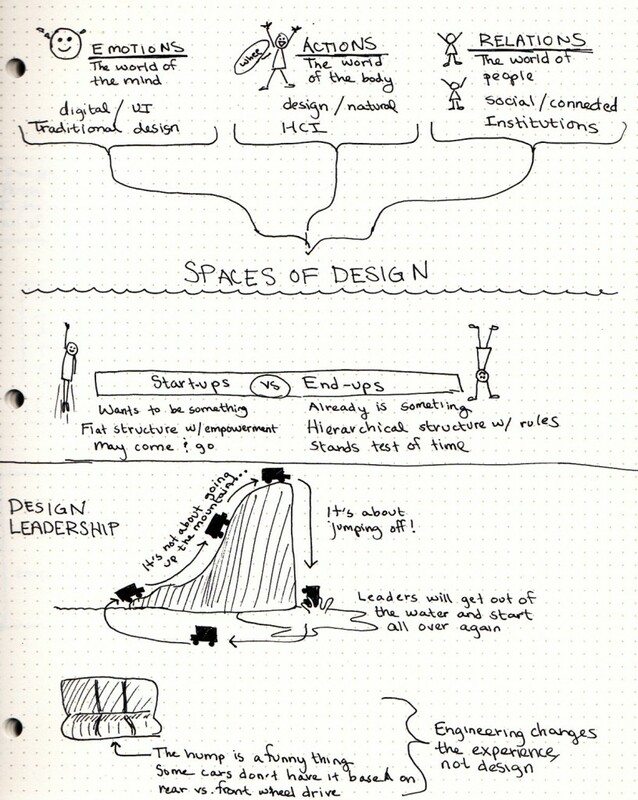 The sketchnotes that follow capture his thoughts about spaces of design, familiarity vs. novelty, empathy and design leadership. 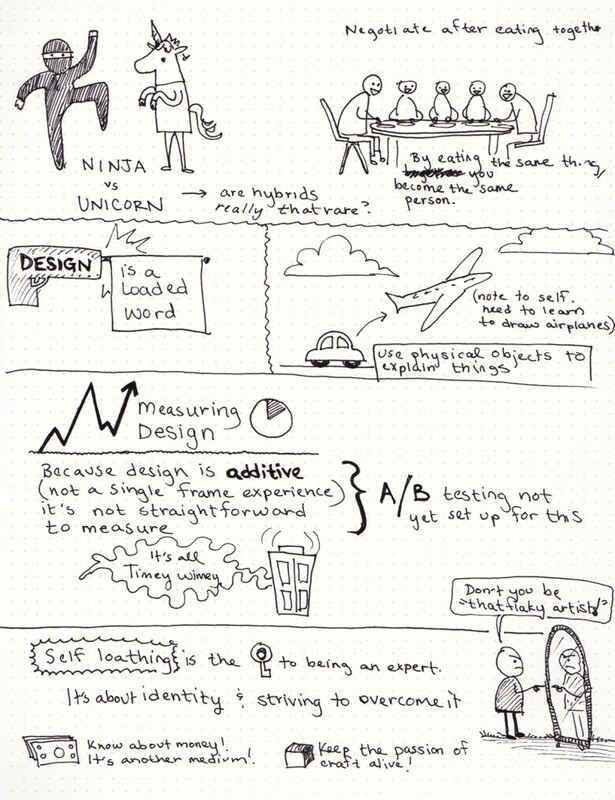 He even made time at the end to discuss several of our questions in depth. 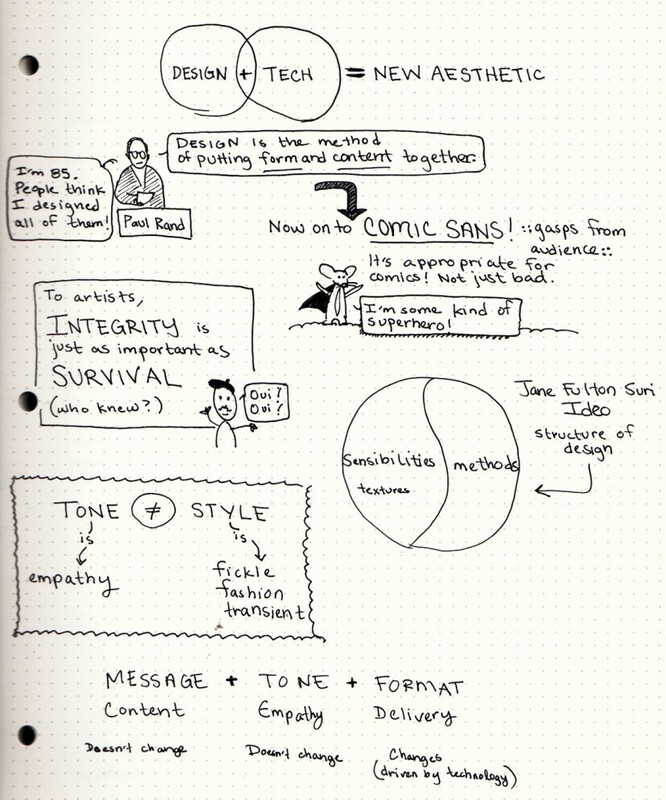 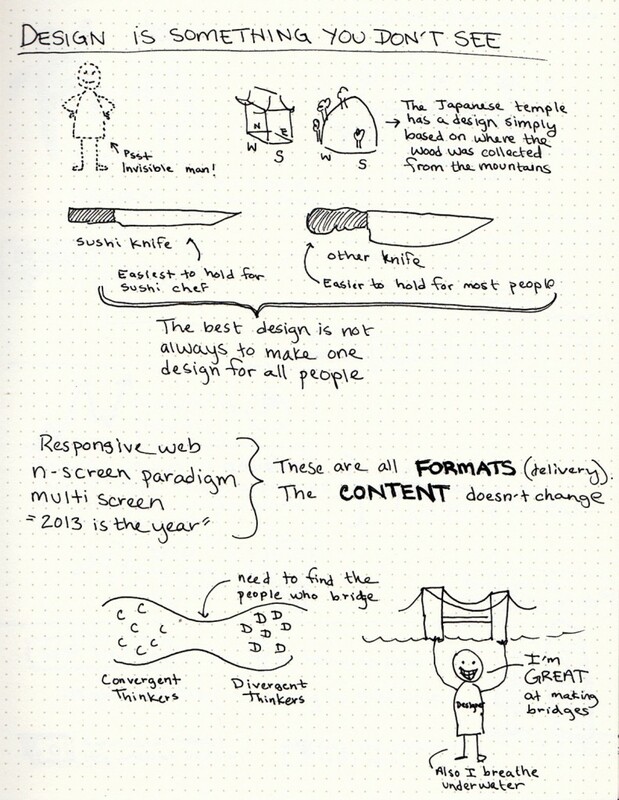 As a result, the last page of sketchnotes shows a scattering of different themes.